In Store & Online: Pier 1 imports is giving out 10% coupons when you sign up to get their email updates.. Plus you will receive all their latest discounts and deals. Note: Sign up is at the bottom of their home page. You will receive your exclusive 10% coupon within 7 days. Online Sale: Save up to 60% off on clearance items. No coupons necessary. 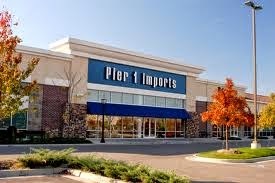 - Pier 1 Imports Store Locations in USA. Print out the whole page or show coupon on mobile phone, get a 15% discount on full priced items, in store and online. Online Coupon: Enter Pier 1 coupon code: SAVE15 in their promo box at checkout. Printable Coupon: Print out the coupon or show on your smartphone, you will need show the codes to the cashier. Save 15% on your entire regular priced items. Pay with your Pier 1 credit card and get 20% off. In stores only! Free Candle with $50 purchase. Shop pier 1 imports today and get 15% off furniture, excludes clearance. Buy more save more. Pier 1 this weekend has everything on sale, save up to $250 on everything, print page associate will need code. For In Stores: print or show coupon on mobile device. Get a 15% discount on all regular price dining tables. Print or show coupon on mobile device. Get a 20% discount on all dinnerware, table linens and napkin rings. Valid at Pier 1 Imports stores or at pier1.com. Reminder that Pier 1 is having an "Everything Sale" storewide. Coupons are not required. Save 10% on your purchase of $100 or more, OR 15% on your purchase of $200 or more, OR 20% on your purchase of $500 or more at a U.S. Pier 1 Imports store or at pier1.com. Pier 1 Imports is the original global importer of imported decorative home furnishings and gifts. Their unique furniture reflects cultures of the many countries around the world. Pier1.com offers a wide range of furniture assortments for anyone and any styles like rugs, lighting, pillows and fun decor. Find pier 1 coupons here, we post them as soon as they are available.